myEnergyLoan is enhancing its website and seeking your input on the information you would find most useful for green real estate finance. Our Green Pages at http://www.myenergyloan.com, will become a hub that you can search for up-to-date information associated with Green Real Estate, especially as it relates to green real estate finance and green loans (aka Green Lending). While the Energy Efficient Mortgage continues to be a staple loan product that is under-utilized, we have recently seen people cobble together incentive dollars and local energy loans to reduce their homes’ operating costs. Their homes are more comfortable and healthier overall. Look for more coming soon and please pardon our re-construction! And as always, thank you for your support. The EcoBroker-of-the-Month Award recognizes Real Estate Brokers that have served their market in a distinguished way. They are making a difference in the lives of their clients and their communities. They represent and serve their company and myEnergyLoan™ in a highly professional manner. They nurture and build great relationships with the lending providers in their area. The EcoBroker of the Month has proved time and time again that they care about their clients and the environment. It is an honor and privilege to be chosen as myEnergyLoan™ EcoBroker of the Month. They are recommended by myEnergyLoan Providers in their markets and they work as trusted partners with myEnergyLoan lenders. Growing up in California gave Mauri an awareness of how important it is to make wise choices about respecting the Earth. She is a big proponent of recycling, planting, and buying GREEN. She enjoys working with buyers and sellers that are informed about ways to build, convert, and maintain GREEN homes. She also educates clients on how to be more Eco-friendly when it comes to home selection. 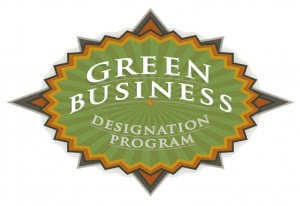 Mauri is an obvious and natural choice as a certified EcoBroker. Mauri brings a wealth of experience and knowledge to every client she meets. For sellers, she offers a complete marketing plan when listing a home. She marries traditional marketing tools with today’s innovative technology. Her clients know they are in good hands with Mauri. As for the buyers, she can navigate every avenue of the home buying process. She listens to her clients, finds homes based on their needs, and can negotiate the best deals. You will want her in your corner when it comes time to buy a home. Stephen Ponce-Pore is the Energy Programs Manager for the Bank of Colorado. Growing up in Colorado, he learned early about sustainable business and how it can benefit the environment. He is a big supporter of ecological conservation and has figured out how to apply these concepts to the mortgage industry. Working with the Governor’s Energy Office, he developed the Colorado ENERGY STAR Mortgage program. The goal of this program is to provide reduced mortgage rates for homeowners that renovate their homes for energy efficiency and for buyers of new ENERGY STAR Homes. Stephen has taken his passion for the environment and joined it with his expertise of the financial world. It is an unlikely combination but it is one that will benefit not only future generations but the current world we live in. Since early last century, Bank of Colorado’s philosophy has been that customer experience banking the way it should be. Meaning, they still believe in personal banking relationships and strong community ties. Bank of Colorado started out as a small, rural, community bank and has grown into a strong organization with large-bank resources and family-run values. Bank of Colorado Mortgage Division is all about the customer. The goal of the mortgage division is to have every client work with an expert to understand the mortgage process and to have confidence in the home purchase decision. Bank of Colorado offers several different mortgage programs that can be tailor made just for you. With the lower rates myEnergyLoan offers, contractors and homeowners have a financing option that can be funded by their energy savings while adding value to the homes,” said Kim Phillipi, BSES partner. Building Science Energy Services (BSES) became an investment partner with myEnergyLoan™ on June 25, 2010, purchasing one-third of the company. The partnership will enable BSES to provide home builders and remodelers enhanced financing options for their end-users, homeowners. “We think the financing piece is critical to contractors in the industry. They can’t rely on tax incentives and rebates to create work for them long-term. With the lower rates myEnergyLoan offers, contractors and homeowners have a financing option that can be funded by their energy savings while adding value to the homes,” said Kim Phillipi, BSES partner. “By offering the myEnergyLoan finance option, BSES provides even more value to its clients while extending the reach of the valuable programs that myEnergyLoan offers,” added Jeff Cole, CEO, myEnergyLoan. A national network of mortgage lenders, real estate agents and energy contractors, myEnergyLoan provides practical home financing solutions for green home buyers, owners, and investors. Since 2005, it has funded millions of dollars in green loan packages; borrowers participating in the program have received thousands of dollars in myEnergyLoan efficiency credits. These credits have helped homeowners save money, improve the energy efficiency of their homes and enjoy better health and quality of life. BSES provides services to state agencies (implementing Home Performance with Energy Star Programs), utility companies and contractors in the green build and retrofit industry. Consulting, training, certification, implementation and facilitation services enable its clients to comply with federal and state programs while delivering real energy savings to home and business owners. myEnergyLoan™ serves the green building community on a National level through our support for local green businesses and lenders who deliver resources and capital to homeowners for green homes. For information, visit www.buildingscienceenergyservices.com. BSES is based in Sparta, Michigan, with sister company Building Science Academy, www.buildingscienceacademy.com. For those of you who do not regularly read Creative Loaf ing, please note that this free weekly newspaper covers sustainability more thoroughly and more accurately than any other local publication or news outlet in Tampa, FL. Known as “alternative newsweeklies,” Creative Loafing is a chain of local newspapers in Chicago, Washington, DC, Atlanta, Tampa and Sarasota. Given our current economic crisis and a couple of HUGE financial mistakes, they have been forced to reorganize their media group; however, I strongly recommend reading them each week for an irreverant, call-it-like-you-see-it journalistic style. A must read for Republican’s and Democrats alike – even us independents love this paper!!! After much hard work and many stops and starts together due to extremely difficult market conditions, Energy Programs Consortium and Jeff Cole of myEnergyLoan have at last agreed to work together on the national roll-out of the Energy Star Mortgage program. Initially launched in two pilot states (Colorado and Maine), the Energy Star Mortgage program, a government sponsored program, grew to 18 states when myEnergyLoan brought HomeFirst Mortgage Corp. into the ESM program. There has been demonstrable success with the ESM program and the “green light” was given to EPC to roll it out nationally this summer. Mark Wolfe, Executive Director at EPC, Howard Banker, Managing Director at EPC and Dave Carey, former energy finance manager at Fannie Mae, all deserve loads of credit for pulling together a government sponsored green lending program in the midst of the worst mortgage market in history. It really is unbelievable that EPC has accomplished so much at a time when the market has been flat out tumultuous. We have been consulting with EPC for many months now and we have witnessed their struggles and, more importantly, their tenacity, not to mention their brilliance. Mark, Howard and Dave, it is a true pleasure working with you all! Opposite Day: Every Day in the USA! ….please…feel free to contribute to this list by commenting. Once we have 100 opposites, i will begin writing the book and all contributors will get credit and a free copy. I have started a new group for us…I joined the OFFICIAL White House Group last week and have found the group to be very engaged Americans who joined the group with the hopes of being heard and engaged by the White House. I have polled this group several times and even made independent pushes to this group’s owner and have gotten no response whatsoever. Along with about 300 other people in this OFFICIAL White House group, we have drawn the conclusion that we are all simply talking to ourselves in the official group, noting that it must be incredibly difficult for the White House to manage the level of intensity prevelant in some of the discussions. Frankly, our discussions have been really, really good but we keep waiting for some sort of response from the White House…many members have told me that they have been members of the group for awhile and have also not seen any responses from the White House. …since that’s case, we created the new Unofficial White House Group on LinkedIN…because, afterall…the White House is OUR house…and since we are only talking to ourselves in the official group anyway, we should do it without the veil and pretense that comes with airing our heartfelt opinions to a disengaged group manager. We want our administration to hear us – we are hard working Americans from all walks of life and rather than being discouraged and torn apart, we can come together here and learn from one another and bring our work back to our communities where it can do the most good for our country. I believe in America. I believe in you and I believe in US pulling together as we historically have done for centuries. Please join our Unofficial White House Group and get engaged with other Americans who are trying their best to be strong and make a positive difference.